"One of the most likable acts on the scene, with a loud, energetic style that’s irresistibly funny." 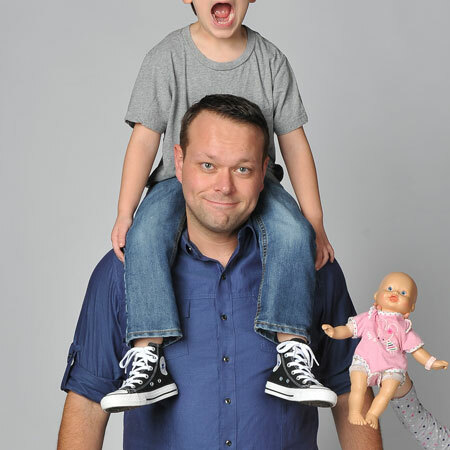 Named "Best Comedian" by Pittsburgh Magazine three times, Aaron Kleiber (Comedian, Dad, Actor), has commanded audiences with his energized, crowd-pleasing live performances with tales of life, marriage and fatherhood. Aaron has broke out as one of the most in-demand feature acts - touring alongside the likes of Bob Saget, Jim Breuer, John Witherspoon and Harland Williams. Aaron has appeared on 'Gotham Comedy Live,' including their 'Best of Season 2', NUVO's 'Standup and Deliver,' with co-starring roles on CBS and Nickelodeon, multiple appearances on the hit podcast Doug Loves Movies - along with impressive live performances at the Big Sky Comedy Fest, Gilda's Laugh Fest, twice at the Limestone Comedy Festival, among others. Don't miss your chance to catch Aaron's life-sized comedy live at The Oaks!